Just home from the doctor, a nap seems in order. Half asleep, I hear, “you know” over and over on ACCESS HOLLYWOOD.” Asleep. Not asleep. The story continues ad nauseum — a continuous stream of words punctuated by, you know. Her fiance cheated, but it’s okay, you know. It’s really okay. You know we’ve worked it out. It was a long time ago, you know. The woman’s voice is insistent, persistent, demanding. I’ve fallen down a soap opera hole. 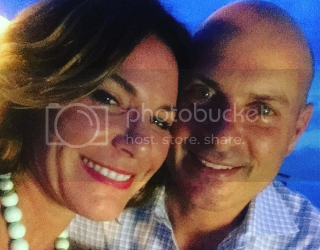 It’s a never ending monologue with no real point, but this woman, who is LuAnn de Lesseps of THE REAL HOUSEWIVES OF NEW YORK, is on a mission for us to understand that she and this questionable man are going to get married. LuAnn is a Taurus Sun/Mercury. But whoa! She has seven focal planets (two planets oppose and the focal planet squares both). That’s as many as I’ve ever seen anyone have. It’s remarkable in its ability to keep it’s owner completely off kilter. It’s a monstrous task holding your life together when you are being pulled in so many directions. You’ve got to give her that. She doesn’t seem Charlie Sheen crazy. But you also have to wonder. So a little summary on focal planets: Sun makes you feel like the center of the Universe, Venus makes you feel unloved and unlovable, Moon make you super seriously sensitive, Mars and you’re a bulldozer who insists on having your way, Jupiter and you like to be part of an identifiable group, Saturn and your ambition is huge, Uranus makes you like it unusual and Pluto creates an atmosphere of right and wrong according to you. They all are needs that must be met. Every day. Every second. The future for LuAnn and us having to hear more of this drivel is quite bright. Not having her time, I’m guessing her aspect has already come in — predictive Mars trine natal Jupiter. So, yes, it’s the big one. I just wish it required a little more humility and less brainless chatter. So congratulations to her. This marriage or what she wants to get out of it has a chance. Most likely all that nonsense is just a plot line, you know. For a private reading, contact melanie@xtrology.com. And please visit Xtrology on Facebook and Twitter. Your comments are very welcome!